At age 94, Celia Beckett still lives on her own in her two-storey home in downtown Thorold, well beyond the age at which many people have to move into some kind of long-term care. While the feisty woman retains her independence, she admits she gets a little help. That comes in the form of regular visits from volunteers with Meals on Wheels, who roll up to her front door carrying meals. Her story is repeated across every community in Niagara, every Monday to Friday. Countless volunteers logging many, many miles fan out each of those days, delivering meals to the elderly, the frail, and those with acute or chronic illnesses. 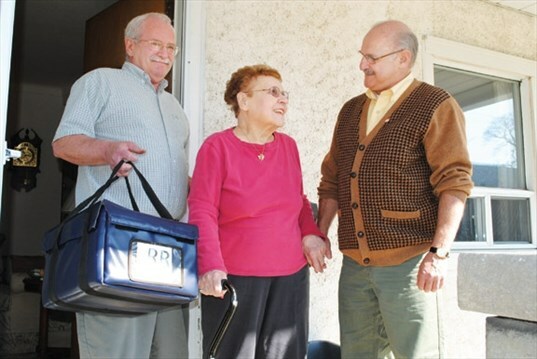 Elda Ryan, vice-chair of the Meals on Wheels serving St. Catharines and Thorold, who helped to save the service there when it appeared it was doomed several years ago, said if Meals on Wheels were to ever disband the impact would be almost immediate. In the two communities her agency serves, it would mean about 200 people going without meals the very next day.